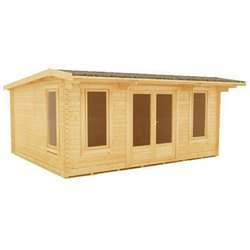 This versatile UK manufactured Log Cabin combines a unique and striking design with fantastic all round build quality. 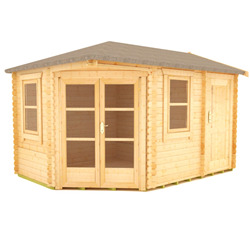 The Corbetti 28mm Log Cabin creates an outdoor room, gym area, summerhouse or garden office - the opportunities are endless. 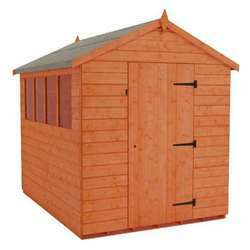 This versatile UK manufactured Log Cabin combines a unique and striking design with fantastic all round build quality. 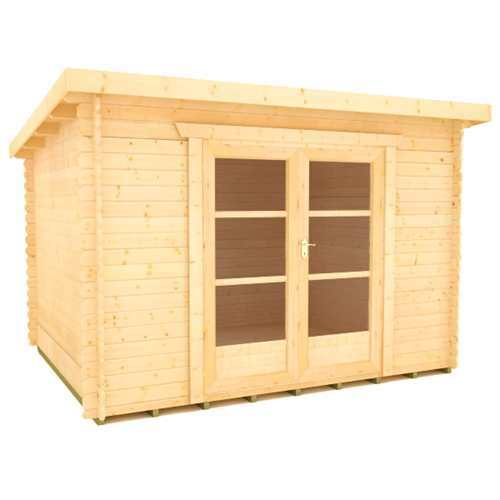 The Corbetti 28mm Pent Log Cabin creates an outdoor room, gym area, summerhouse or garden office – the opportunities are endless. 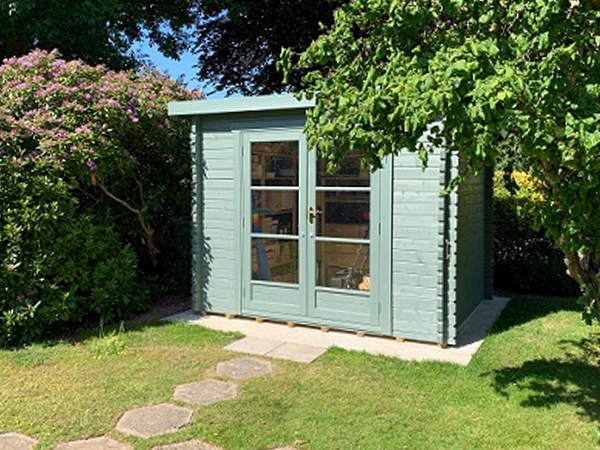 The building is filled with superb and stylish features making it ideal for those yearning for an outside area with ample internal space in attractive and secure surroundings. 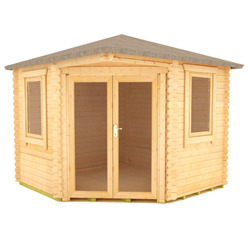 The log cabin comes complete with attractive European style fully glazed double doors offering generous light and access to the spacious interior. 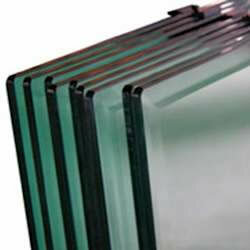 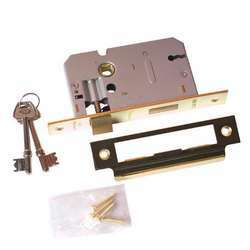 Supplementing the doors are attractive brass handles and a high security 3-lever lock. 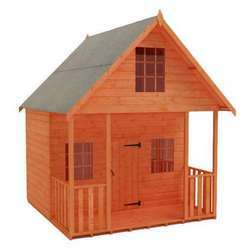 One key feature of this log cabin is the striking pent style sloping roof providing extra internal height throughout. 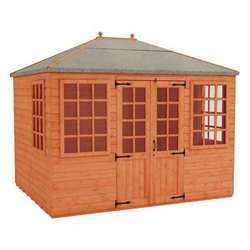 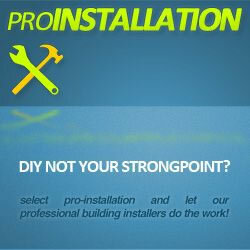 With the inclusion of heavy duty green mineral roofing felt, factory fitted pressure treated weatherproof heavy duty floor joists, and a generous roof overhang all the way around, this log cabin provides that additional strength and protection that you won’t find in many cheap competitor imitations. 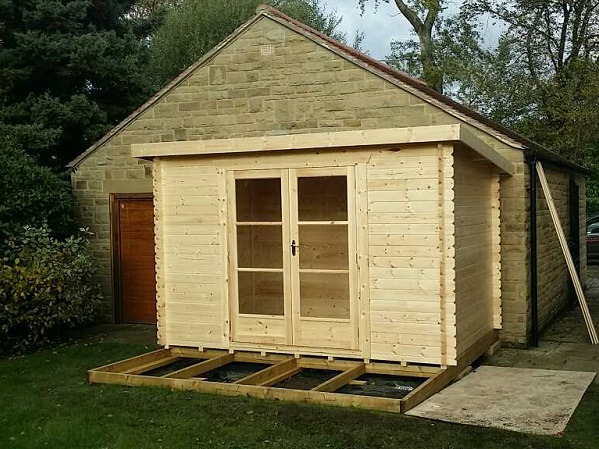 THIS PENT LOG CABIN features high-grade 28mm interlocking planned and finished logs – beware of cabins that feature rough edged boards machined from poor quality timber. 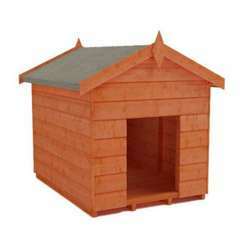 THIS PENT LOG CABIN feature a specially designed 4-way chamfered notch-joint system ensuring a tight fit to all boards with little room for damp or wind penetration – beware of log cabins that feature square cut logs with square notch-joint, often leaving a sloppy joint with large visible gaps. 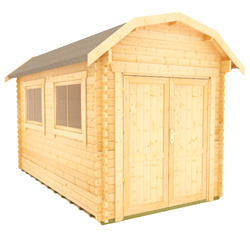 THIS PENT LOG CABIN features factory fitted pressure treated weatherproof heavy duty floor joists – beware of cabins with untreated floor joists which offer no protection against damp penetration at floor level or worse still cabins that come with no floor joists at all. 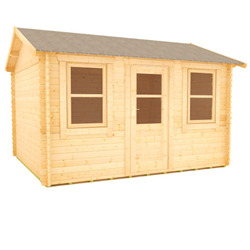 THIS PENT LOG CABIN features heavy duty green mineral roofing felt as standard, with the easy option to upgrade to premium quality roof shingles – beware of cabins that come with no roof covering, leaving the cabin completely open to the elements. 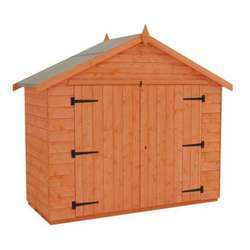 THIS PENT LOG CABIN features oversized extra large doors – most competitor buildings use narrow doors which can prove difficult for access. 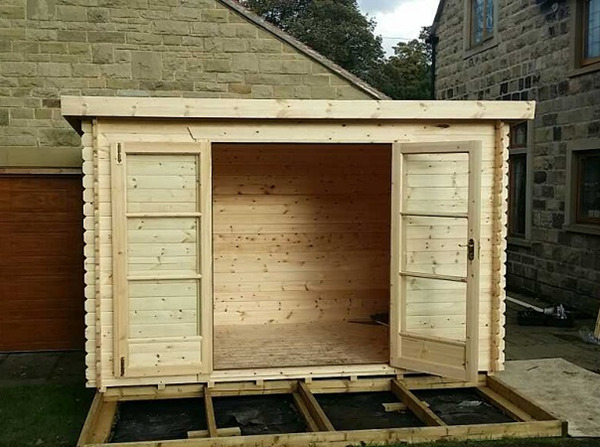 THIS PENT LOG CABIN features high quality glazing which is factory silliconed and internally beaded to all doors – beware of cabins that feature lesser quality materials and provide beading at all.